Capital budgeting is typically a multi-facet activity involving the pursuit for fresh and more profitable investment proposals. Capital budgeting is the practice of identifying and selecting investments in long-lived assets, or assets projected to generate paybacks over more than one year. Capital budgeting is fundamentally the planning and scheduling of capital expenditure which eventually provide earnings over a number of years. It is the organisation’s choice to take appropriate decisions when it comes to investments. However, organisation emphasizes investing its funds most efficiently in long-term activities against an expected flow of future profits over a number of years. According to Charles T. Horngren, Capital Budgeting is a long-term planning for making and financing proposed capital outlays. A comparable interpretation has been articulated by Max D. Richards and Paul S. Greenlaw, when they hold Capital Budgeting commonly talks about obtaining inputs with long-term returns. Capital budgeting is a decision-making process through which is business concern evaluate the purchase of various fixed assets for expansion, replacement, etc. A reasonably lengthy period between the initial spending and the predicted yield. 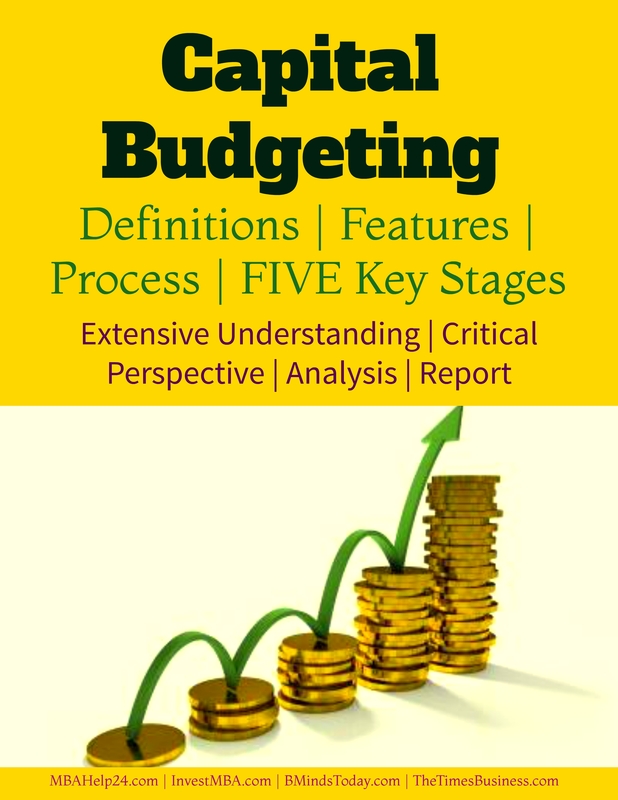 There are several steps involved in capital budgeting process, but they merely apply depend upon a number of factors such as scope of the concern, nature of projects, quantity of projects, complications and ranges and so forth. Investment Screening and Project Generation: A constant generation of capital expenditure proposals including proposals that help in expanding the revenues and proposals that support in reducing the cost are vastly crucial to make efficient and full use of funds of the particular project. Project Evaluation: The evaluation step in a project majorly deals with judging the appropriateness and desirability by applying suitable criteria. Therefore, the evaluation process consists of estimating the costs and benefits in terms of cash flows, and choosing a right criterion for judging the desirability of the project. Project Selection: The project selection phase involves screening as well as choosing the projects. When projects are under consideration, they can be screened at several stages of Management. When it comes to final approval, it has to be given by the top management. Project Authorization and Execution: Following project selectin process, the funds for the selected projects are to be sanctioned. The formal plan for the allocation of fund is identified as capital budget. Project Follow-up and Review: The follow-up step primarily deals with comparison of actual performance with the budgeted data. This particular step fundamentally ensures better forecasting and further helps in improving the practice of forecasting.